If you like floral patterns, polka dots, finger sandwiches, and tea pots, the chances are, you'll like this design. 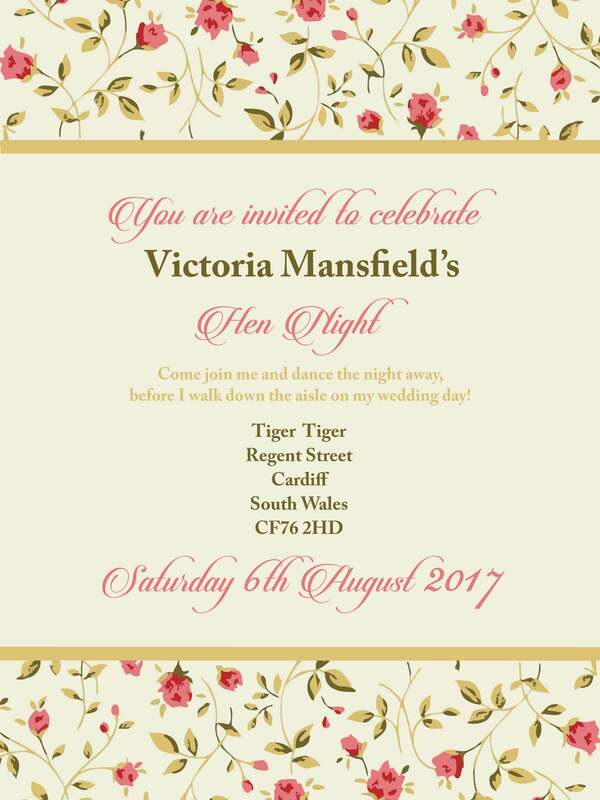 Our vintage style design includes a floral banner, and elegant, cursive font, which can be personalised to read your hen party details. Once we receive your personalisation details, we will update the design, and send it to your inbox.